Vimeography Error: a Vimeography gallery with an ID of "7" was not found. 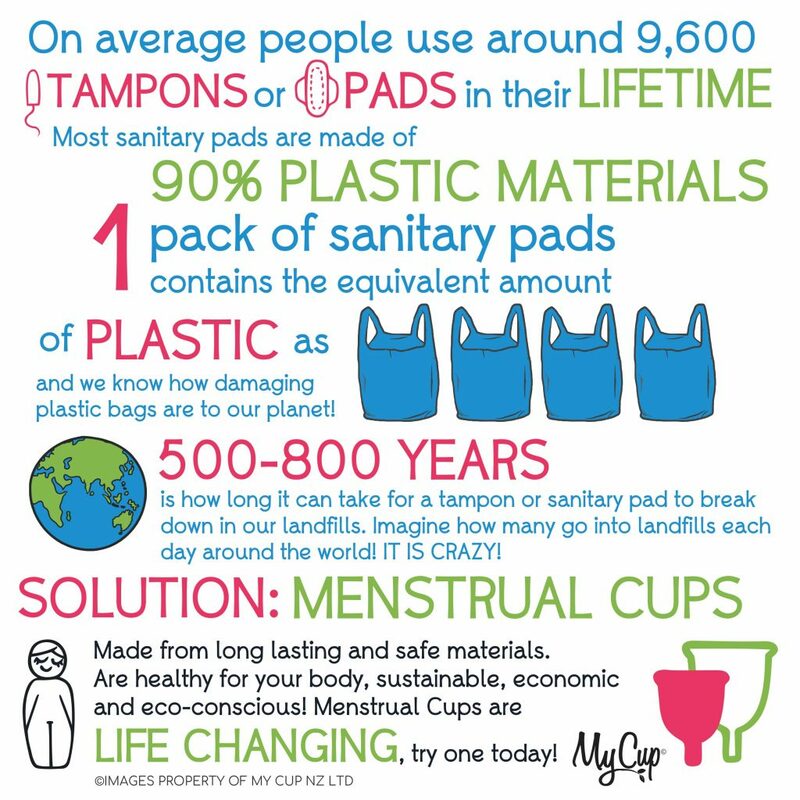 That it takes up to 500-800 years for tampons and pads to break down in our landfills? That a period can cost you between $1000.00 – $3000.00 every 10 years. People menstruate for an average of 35 years so this equates to a spend of between $3500.00 – $10,500.00 over this time. You are spending money on products that are single use and potentially will be around for 500-800 years. Its like flushing money down the toilet (so to speak!). 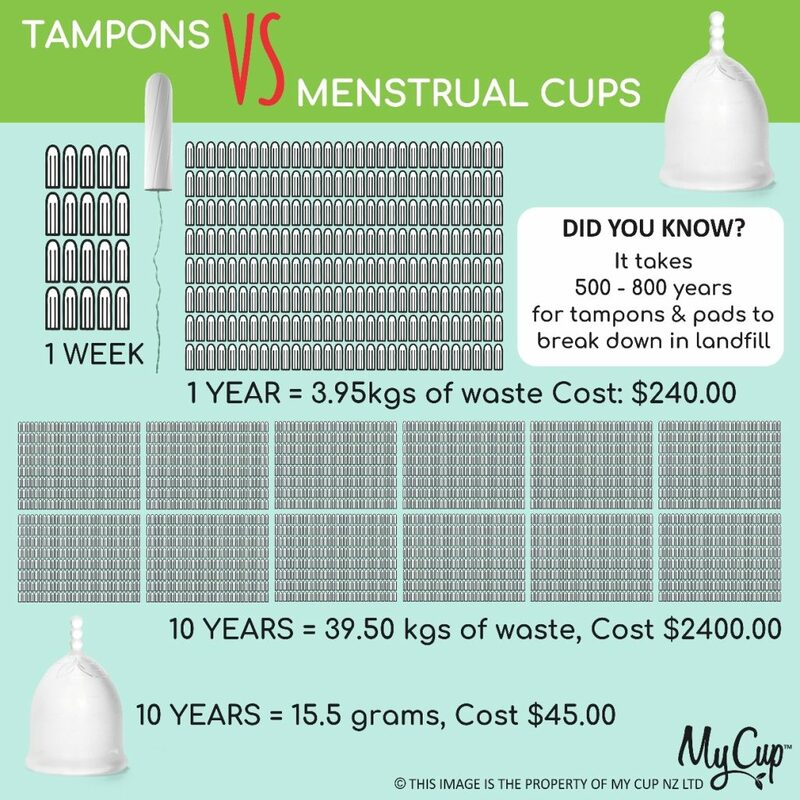 So far at My Cup we have saved millions of tampons and/or pads from landfills in NZ to date this year by selling menstrual cups, reusable pads and period underwear. You can help us work towards a disposable free NZ by looking into these products. These figures are based on an average 5 day period, 4 tampons per day (or 4 pads per day) and 1 liner per day.